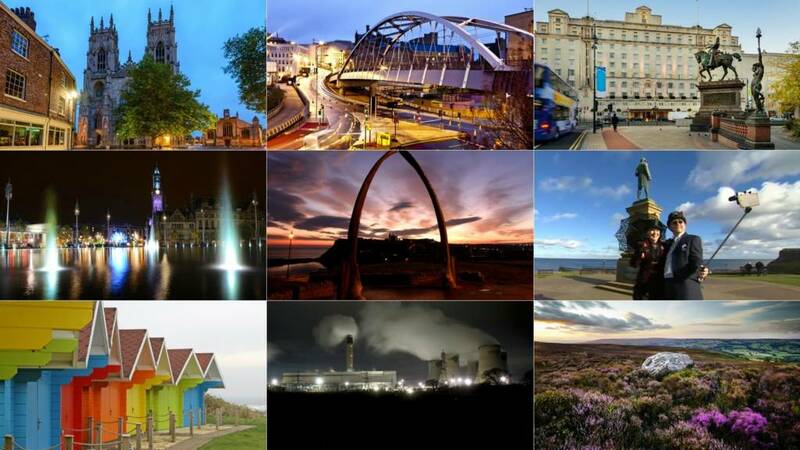 Listen live to your BBC local radio station: BBC Radio Leeds, BBC Radio York and BBC Radio Sheffield. M1 South Yorkshire northbound severe disruption, between J33 for A630 Catcliffe and J34 for A631. M1 South Yorkshire - One lane closed on M1 northbound between J33, A630 (Catcliffe) and J34, A631 (Meadowhall), because of a broken down vehicle. A1(M) North Yorkshire northbound severe disruption, between J42 for A63 and J44 for A64. A1(M) North Yorkshire - One lane closed on A1(M) northbound between J42, A63 (Selby fork) and J44, A64 (Bramham), because of an overturned vehicle. 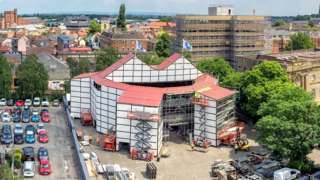 The man behind a temporary replica venue says the Bard would recognise it (except the scaffolding). M1 South Yorkshire northbound severe disruption, at J35A for A616. M1 South Yorkshire - M1 lane closed on exit slip road northbound at J35a, A616 (Stocksbridge), because of a broken down vehicle. A633 South Yorkshire both ways severe disruption, between Westfield Road and Greasbrough Road. A633 South Yorkshire - A633 Rawmarsh Hill in Rawmarsh closed in both directions between the Westfield Road junction and the Greasbrough Road junction, because of a police incident. A58 West Yorkshire both ways severe disruption, between B6154 Wellington Road and A58. A58 West Yorkshire - A58 / A58(M) Leeds Inner Ring Road in Leeds closed in both directions between B6154, Armley Gyratory and A58, because of a police incident. M1 South Yorkshire southbound severe disruption, at J31 for A57 Sheffield. M1 South Yorkshire - One lane closed on M1 southbound at J31, A57 (Sheffield), because of a broken down vehicle. Traffic is coping well. 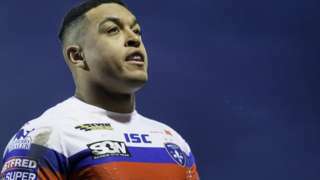 Wakefield Trinity run in eight tries to consign Super League bottom side Widnes to an 11th straight defeat. A638 West Yorkshire eastbound severe accident, between A652 Bradford Road and A653 Leeds Road. A638 West Yorkshire - A638 Dewsbury Ring Road in Dewsbury blocked and slow traffic eastbound between the A652 Bradford Road junction and the A653 Leeds Road junction, because of an accident. 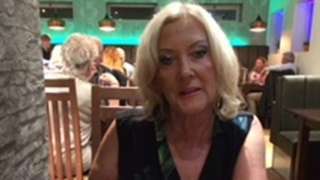 The pedestrian was hit by a car close to the Bull pub at Broughton on Saturday night. M1 South Yorkshire northbound severe disruption, at J35 for A629 Rotherham. M1 South Yorkshire - One lane closed on M1 northbound at J35, A629 (Rotherham), because of a broken down vehicle. Traffic is coping well. A 16-year-old boy from Barnsley is held on suspicion of assisting an offender and theft. M18 South Yorkshire northbound severe disruption, at J4 for A630. M18 South Yorkshire - M18 lane closed on exit slip road northbound at J4, A630 (West Moor), because of abandoned vehicle. Traffic is coping well. 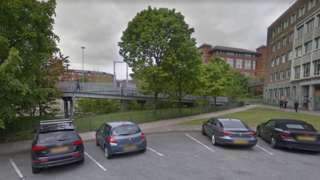 Police say the woman was subject to an "horrific attack" in Leeds city centre on Saturday. M1 West Yorkshire southbound severe accident, between J40 for A638 Ossett and J39 for A636 Wakefield. M1 West Yorkshire - One lane closed on M1 southbound between J40, A638 (Ossett) and J39, A636 (Wakefield), because of an accident. M1 South Yorkshire northbound severe disruption, between J34 for A631 and J35 for A629 Rotherham. M1 South Yorkshire - One lane closed on M1 northbound between J34, A631 (Meadowhall) and J35, A629 (Rotherham), because of a vehicle fire. 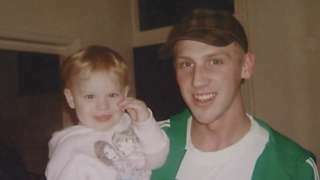 Adam Chadwick was killed in a struggle with three masked men outside a house in Harehills, Leeds. M1 South Yorkshire northbound severe disruption, between J35 for A629 Rotherham and J36 for A61 Birdwell. M1 South Yorkshire - One lane closed on M1 northbound between J35, A629 (Rotherham) and J36, A61 (Birdwell), because of a broken down vehicle. Traffic is coping well. 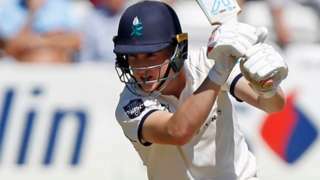 Yorkshire survive the final day at the Ageas Bowl to secure a Championship draw with Hampshire.